Sorry for the lack of recent postings. Among other things, I’ve been in California on a splendid vacation in the Central Coast. This trip will require more than one posting given the visual stimulation there. Just to see bright colors again was such a treat! But I will limit this first post to the subject of food. One thing that’s really tough about winters in Maine is the lack of fresh food. Not so in California. The two farmers’ markets we went to were a bonanza of citrus and other fruit, artichokes, almonds, asparagus, olives…I could go on, but just thinking about it is making me salivate all over my keyboard so I should stop. 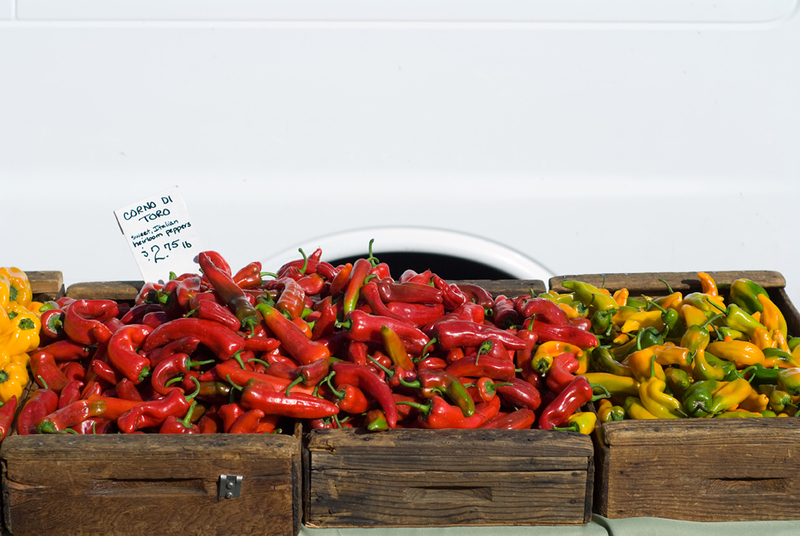 Here’s a burst of color from a farmers’ market in Monterey. I wanted to take everything home, but only managed to squeeze two artichokes, an avocado and a pint of strawberries into my already overstuffed carry-on bag. If we go to this area again, and I think we will given the gorgeous landscape, abundant wildlife and pleasing temperatures, we’ll probably rent a place where we can cook. For one thing, eating out is expensive, and for another, it’s tough to find great restaurants day after day. Plus, with all the amazing fresh food at one’s fingertips, it would be a joy to cook. One place where we had a couple of really nice meals was the Red House Cafe in Pacific Grove. Fresh ingredients, large portions and beautiful presentation. Oh yeah, and it all tasted amazing as well! This is a shot from our breakfast the first day. How can you not love a place that serves coffee drinks in bowls? We also spent a couple nights in Big Sur, a visit we ended up truncating after we discovered that the majority of hiking trails were closed due to the extensive fires last June. But we were still there two nights, which was plenty of time to get a taste for the food options given that there are only a handful of them. Before I get into food quality, I need to do a little rant. I understand that Big Sur is considered remote (despite the main portion of it being only 30 minutes from Carmel) and that for places to deliver to that stretch of coastline can’t be very economical given the distance and lack of places needing supplies. But STILL. $4.50 for a cup of tea? 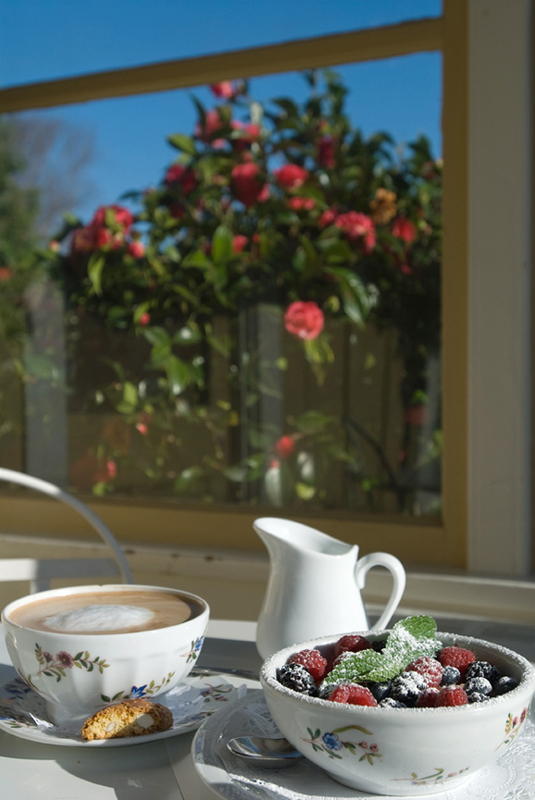 $7 to have fresh berries added to your granola? Mediocre sounding entrees for $38? It was obvious that many people traveling through there have not a care in the world about spending that kind of money, but if you go and you don’t have a trust fund, here are some of my recommendations. Big Sur Bakery and Restaurant has beautiful baked goods in the morning (yes, I paid $3.75 for a small scone, but it was damn good!) and a nice variety of thoughtfully prepared dinner offerings at not outlandish prices. We had a tasty wood-fired oven eggplant pizza. It’s the type of place we would want to eat at even if we weren’t in a place with limited restaurant options. Keep an eye out for their cookbook that is coming out soon. We stayed at Deetjen’s, a funky, historic inn, and they too have wonderful (i.e., high quality and large quantity) breakfasts, which is apparent given the lines that form on the weekend. Lastly, if you don’t feel like having a sit down meal, you can retreat to your room with surprisingly good, freshly prepared dishes from the Big Sur Center Deli. I very much enjoyed a dish that I would describe as Mexican lasagna (lasagna noodles with shredded chicken, salsa verde and cheese). Yummy. Next posting about this trip will likely be devoted to Point Lobos, which has provided inspiration for photographers for decades. Stay tuned. This entry was posted in food and tagged Big Sur Bakery, Big Sur food, California, Deetjen's Big Sur Inn, farmers' market, food, Monterey, Red House Cafe on March 26, 2009 by Stacey Cramp.